Acquired in 1897 from Rome. Previously in the Palazzo Barberini in Rome. The distinctive features of this colossal portrait are the wide open eyes, the long sideburns and the abundant curly locks of hair. The passionate expression renders this portrait almost heroic. The portrait was previously in the Palazzo Barberini in Rome. In a 1642 engraving in “Aedes Barberini”, the portrait was called “Sulla”. For several hundred years, the portrait of Marius now located in Munich was placed across from “Sulla” in the Palazzo Barberini. There are several modern copies of “Sulla” in both Florence and Paris (Wünsche, MüJb (1982) 7ff, Abb. 18 and 19). Two related portraits are “Marius” and “Sulla” in Munich (cf. Wünsche, MüJb (1982)). Original: End of the 2nd cent. B.C. Copy: c. 40 B.C. The modern bust was removed in 1977. The nose has broken off and is missing. There is damage to the ears. The elaboration of the neck suggests that the head might have been inserted into a (toga?) statue. Acquired in 1897 from Rome, through the mediation of Helbig. According to accounts, the head is from Naples. According to a letter dated August 30, 1979, from Christof Boehringer (at the Archäologisches Institut der Universität, Göttingen), a cast of the present head was obtained by the university in Gottingen in 1767. R. Wünsche, MüJb XXXIII (1982) 7, 15, Abb. 16, 17, 20. © 1994. Description: F. Johansen. 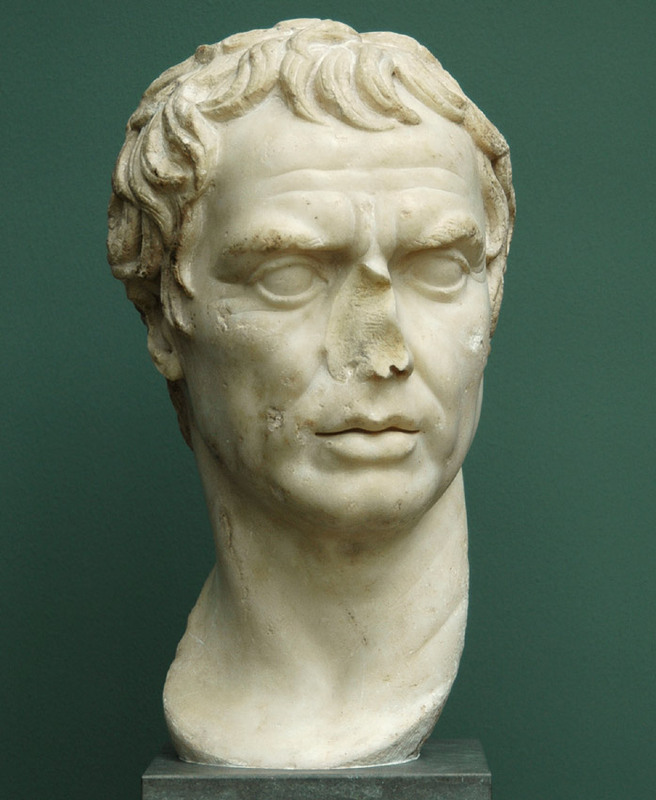 Catalogue Roman Portraits, vol. I, p. 284, cat. no. 125. Ny Carlsberg Glyptotek, 1994.